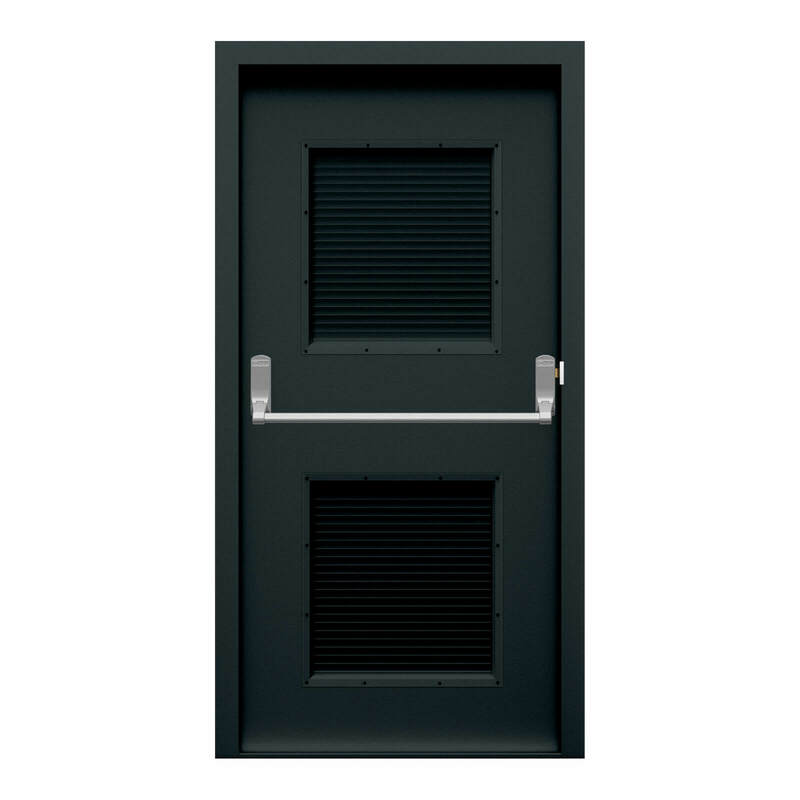 Our standard duty Louvred Fire Exit Doors are a great budget louvre fire exit door option. 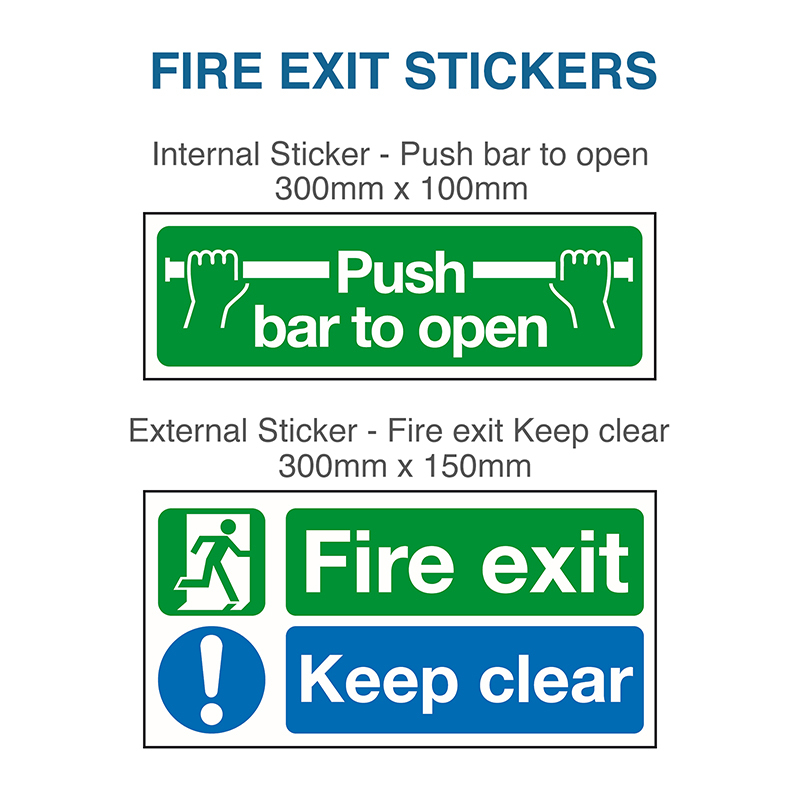 The lowest priced in the UK, they are ideal for high air flow and ventilated applications, while complying with the latest fire regulations. 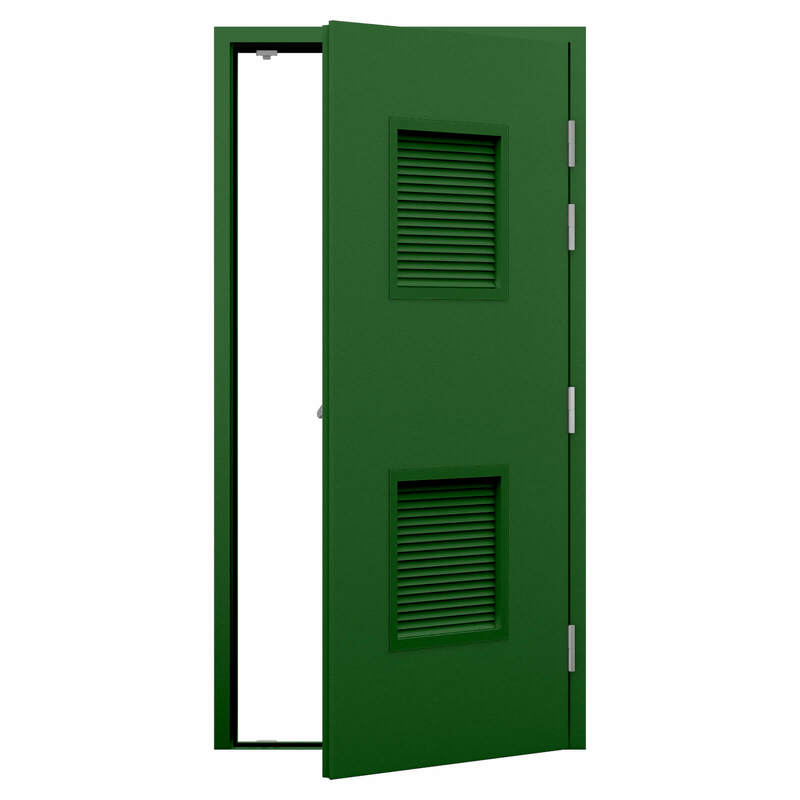 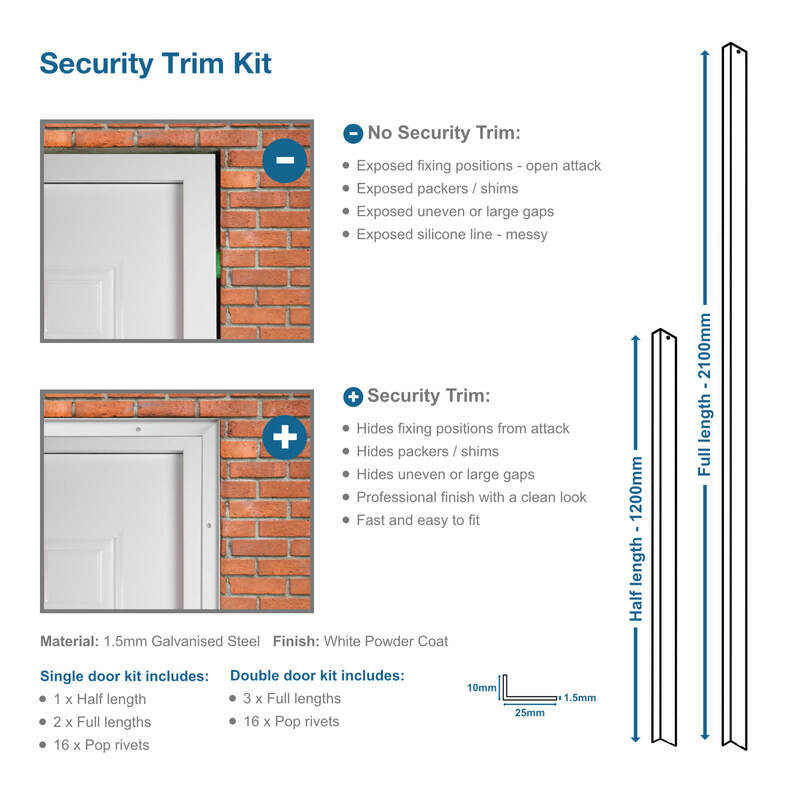 For applications needing a level of security, see our Security Louvred Fire Exit Door range. 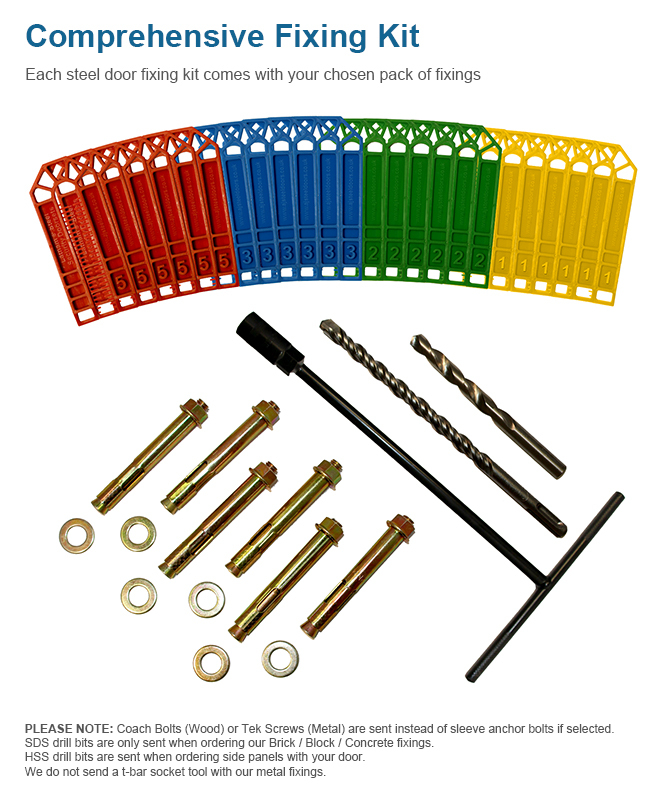 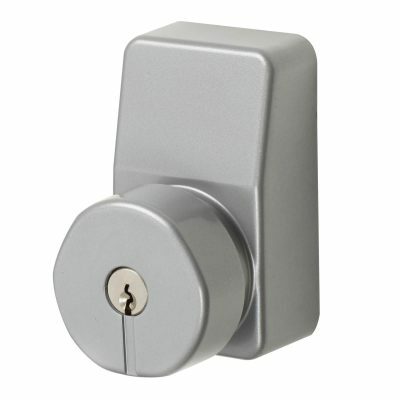 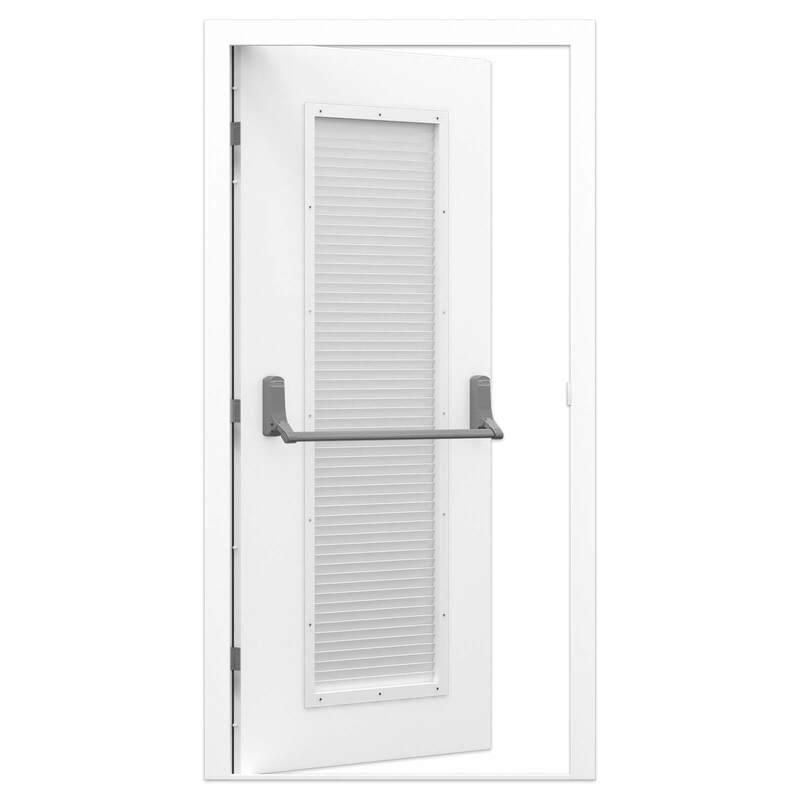 They are manufactured using thicker material and fitted with a higher security panic bar. 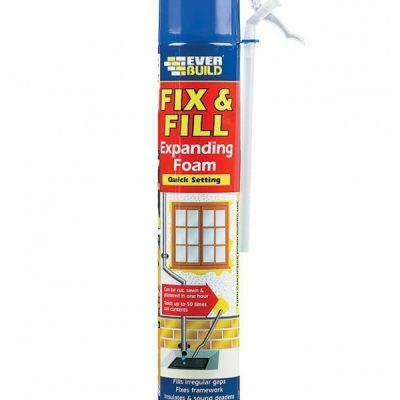 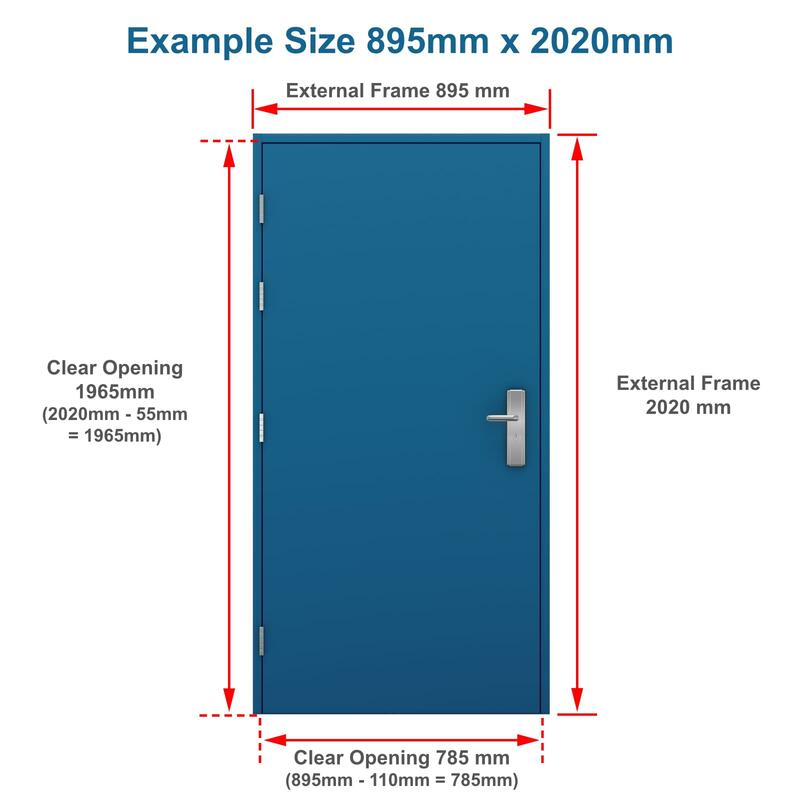 Available in a larger range of sizes, from 695-1145mm wide for only an extra £50+VAT. 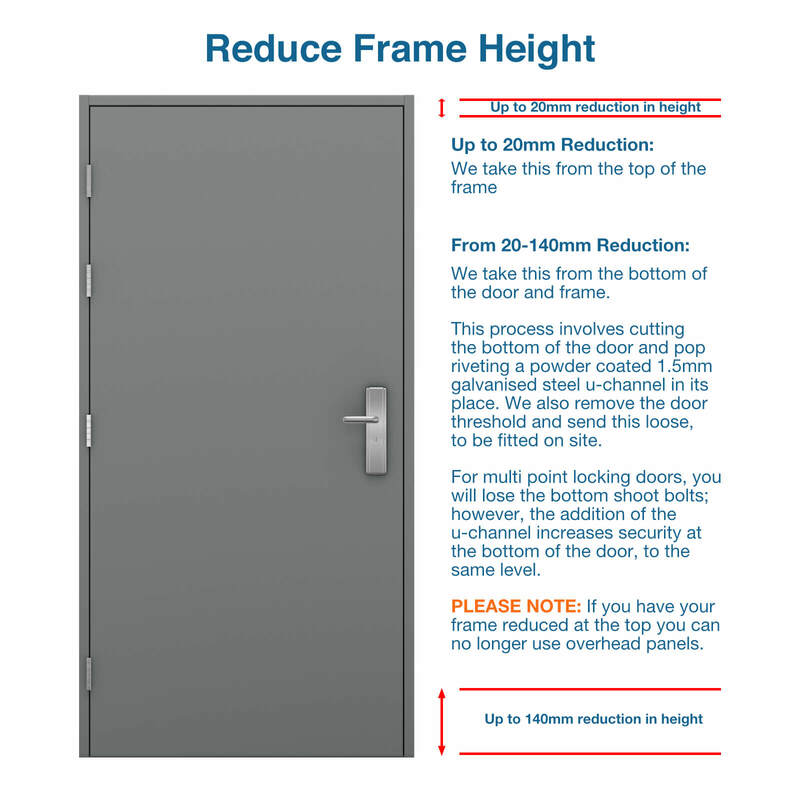 Our standard duty louvred fire exit door is the lowest prices in the UK, which makes them ideal for tight budgets! 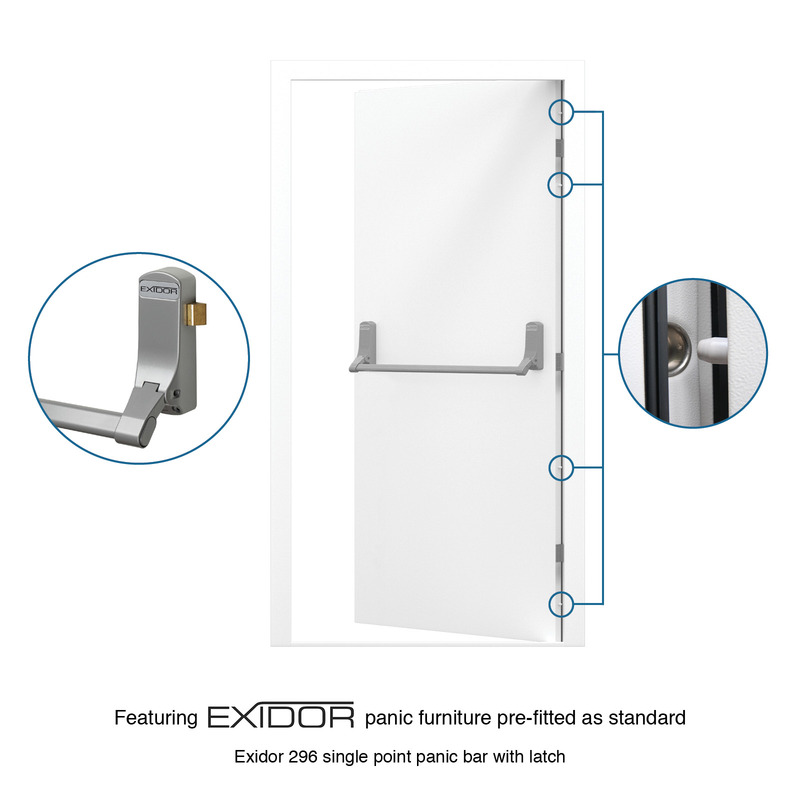 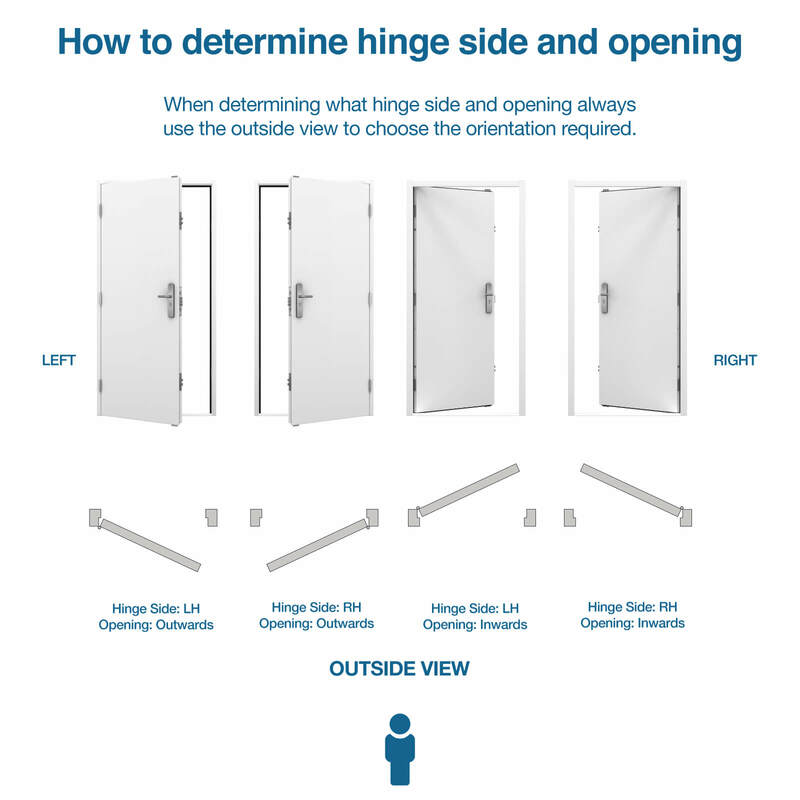 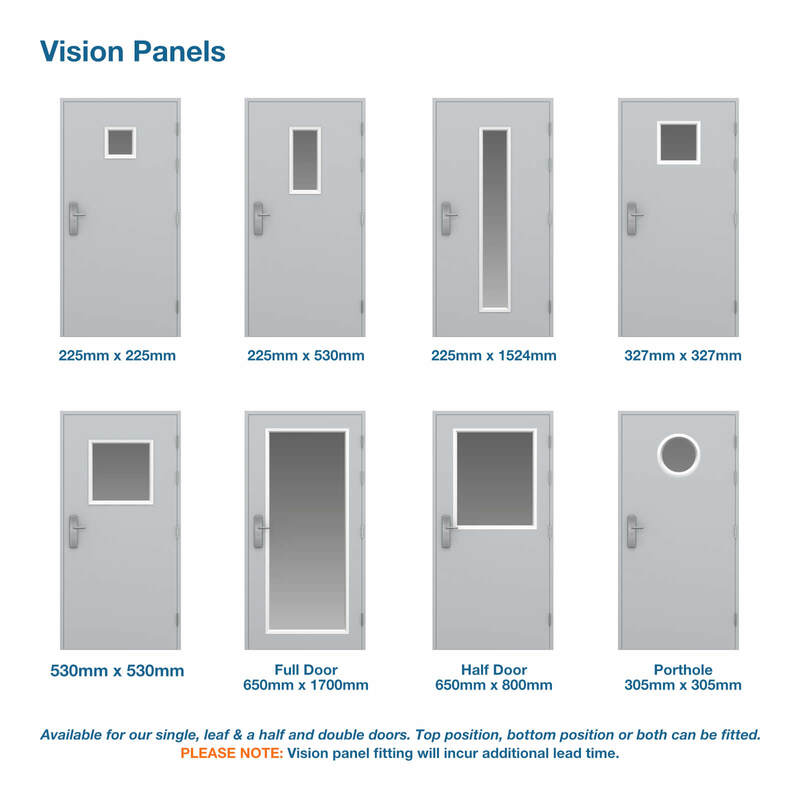 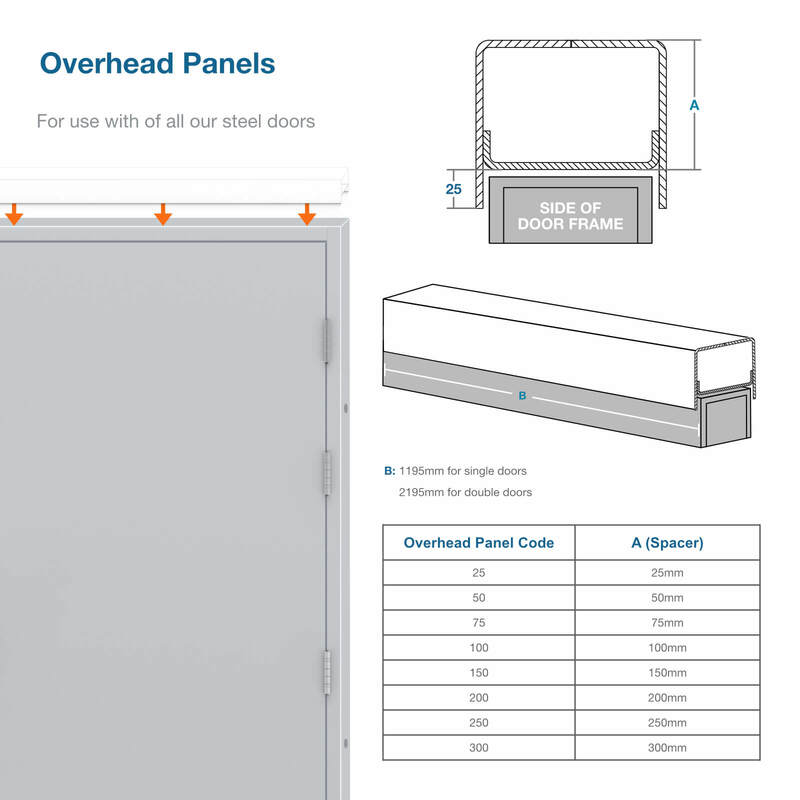 This door comes fitted with an Exidor 296 single point panic bar and meets fire regulations. 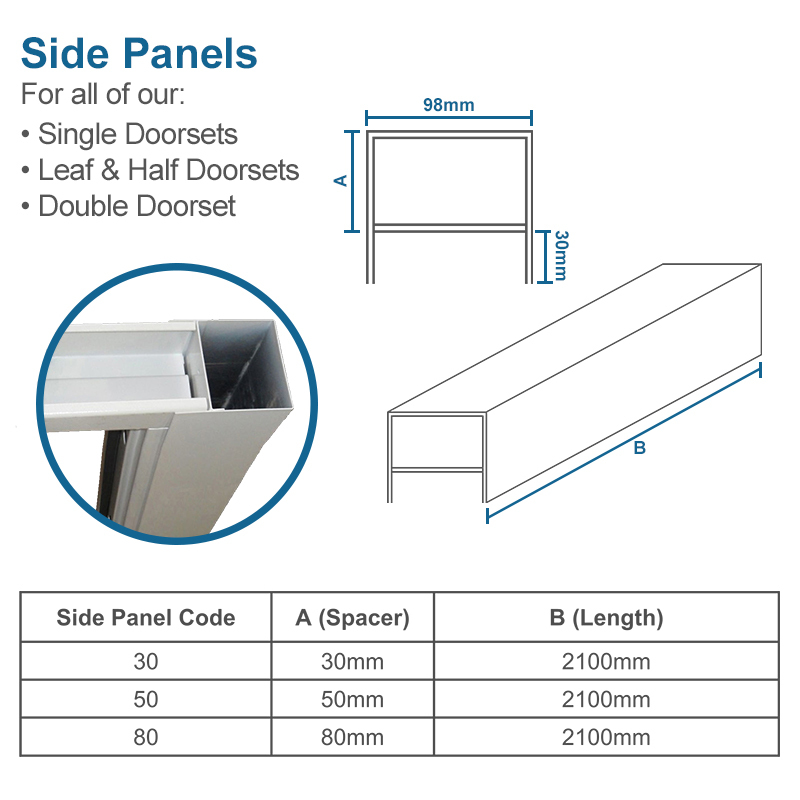 Not only do our high quality louvre panels improve airflow, they also ensure a good level of security for rooms with restricted access. 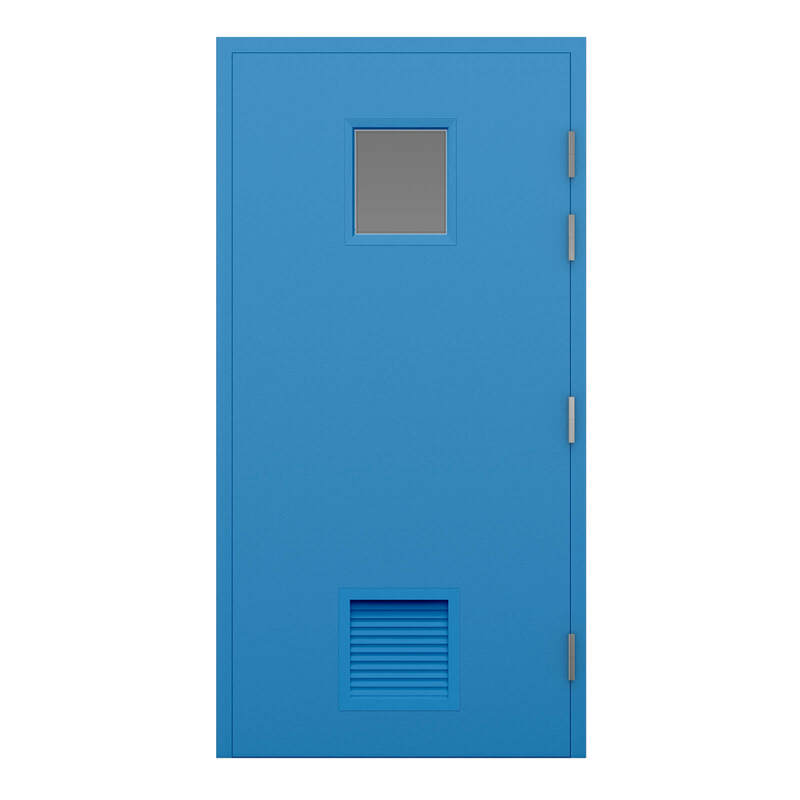 They can be applied to variety of situations such as being used for server rooms, electricity cupboards, boiler rooms and bin rooms. 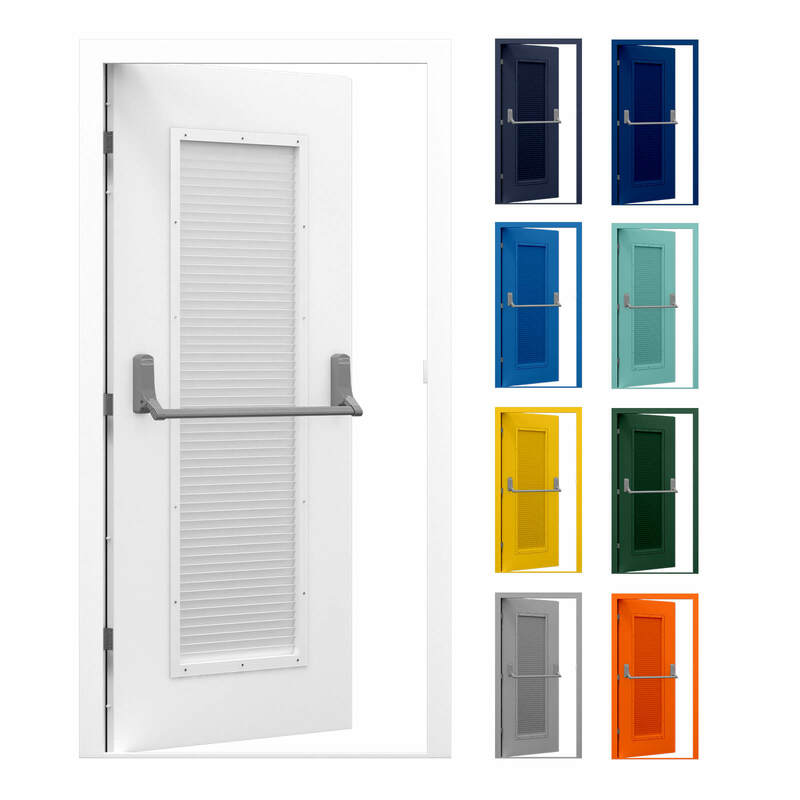 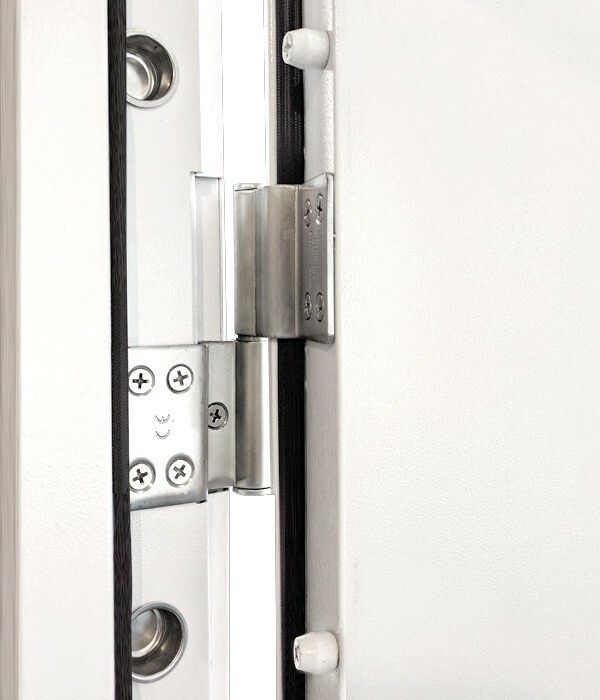 All of our doors come powder coated in white (RAL 9003) however, they can be customised to a colour of your choice. 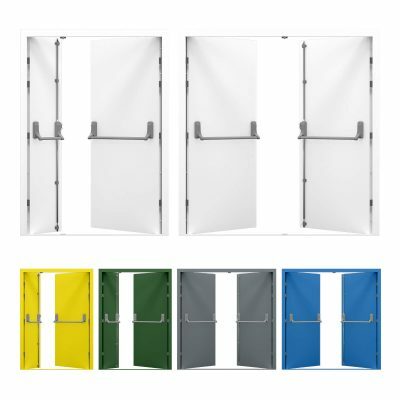 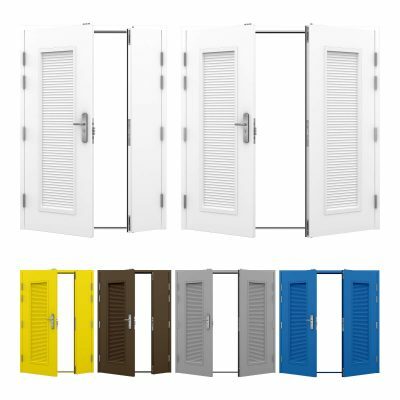 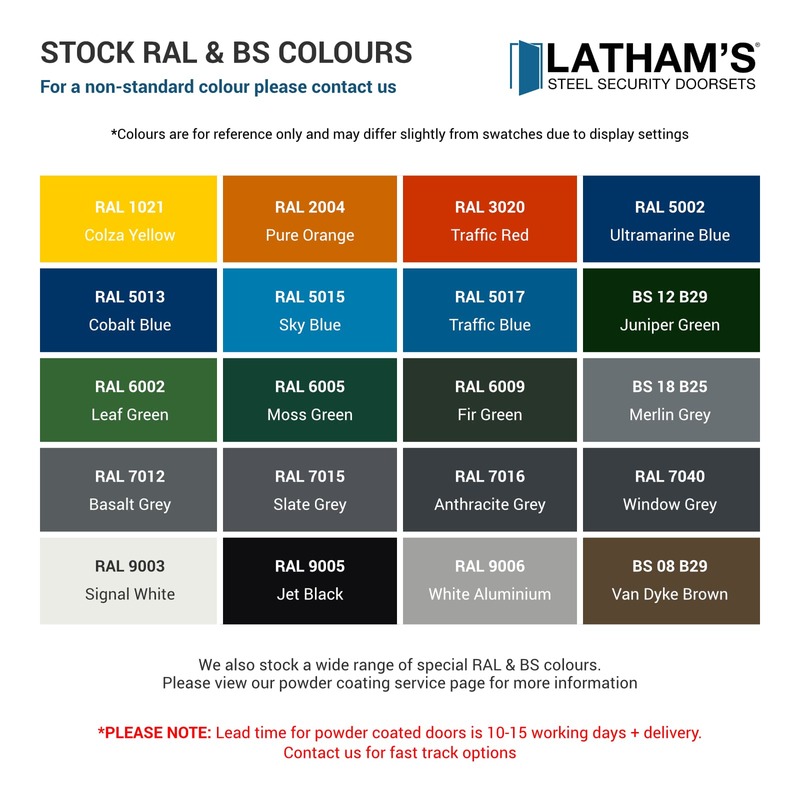 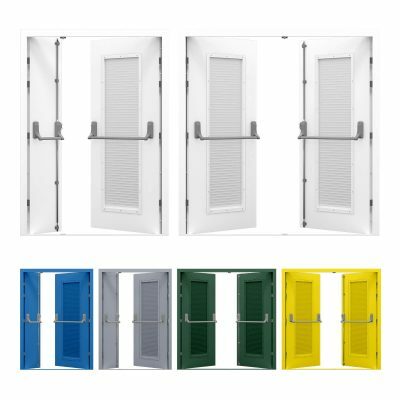 Whether you want to make sure your door fits in or stands out, choose from our stock range of colours or we can colour match a colour to match your business premises. 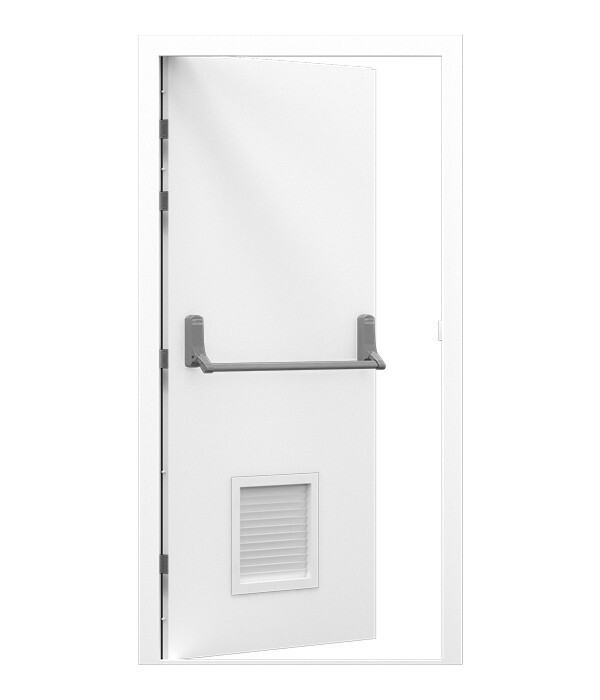 This fire exit door is secured with 3 stainless steel lift-off hinges and 4 dog bolts and an Exidor 296 single point push bar. 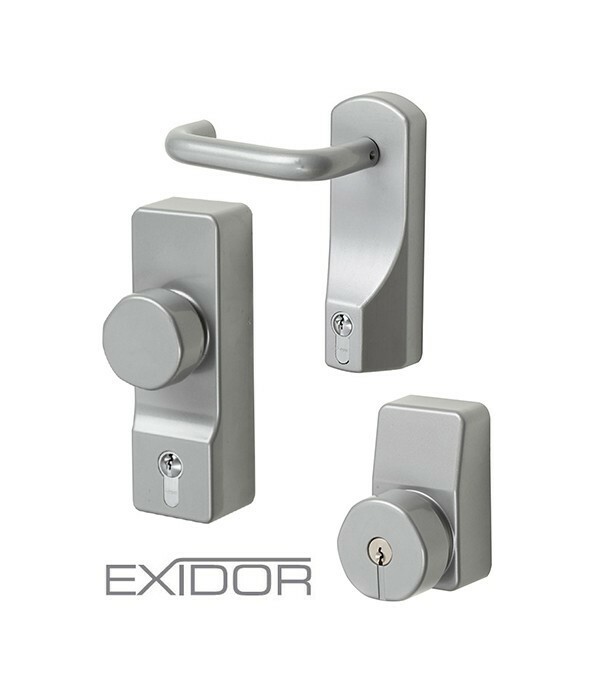 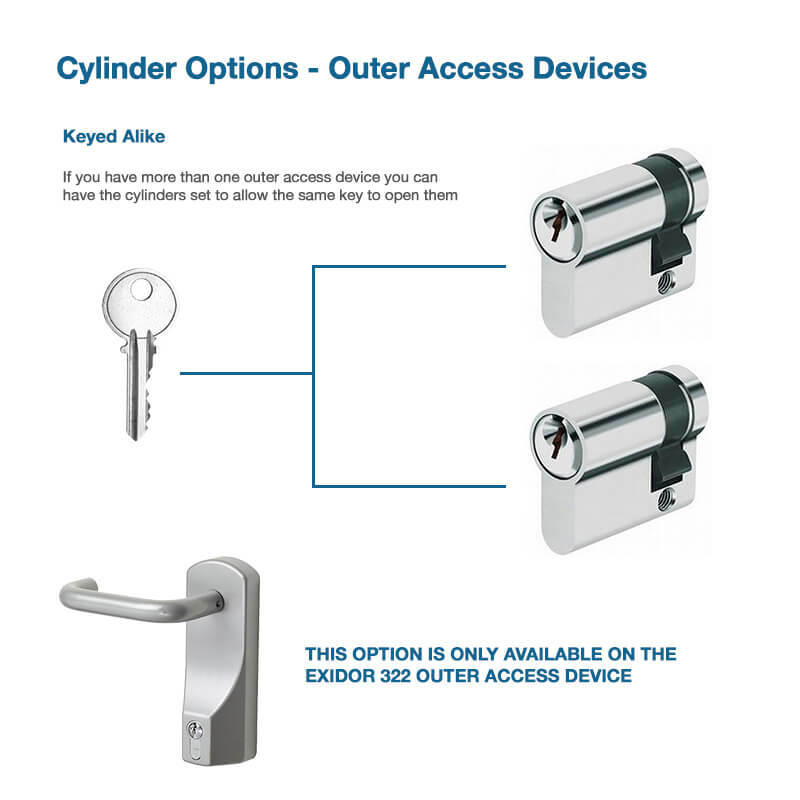 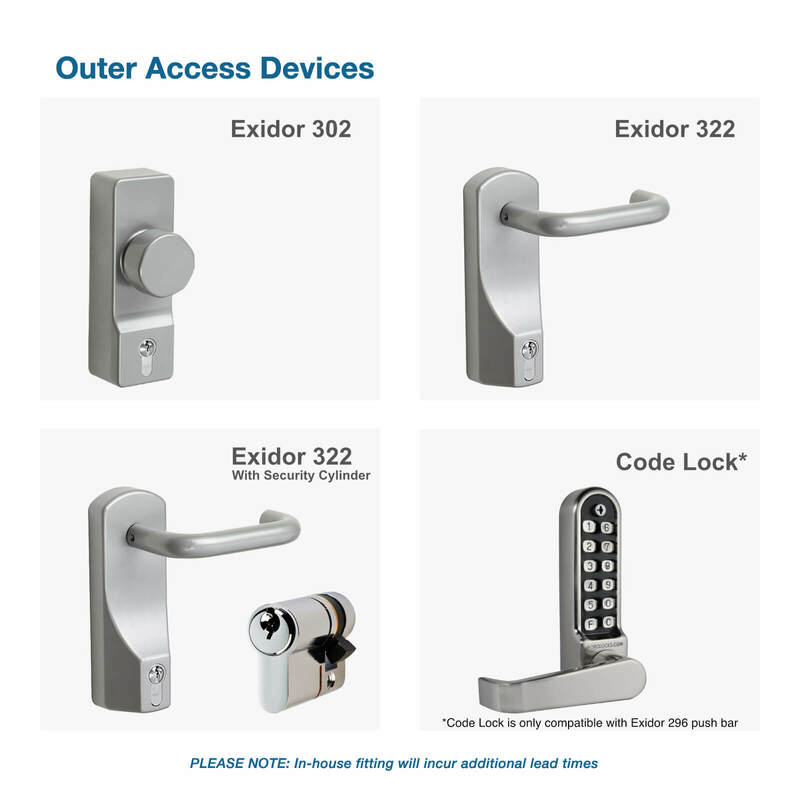 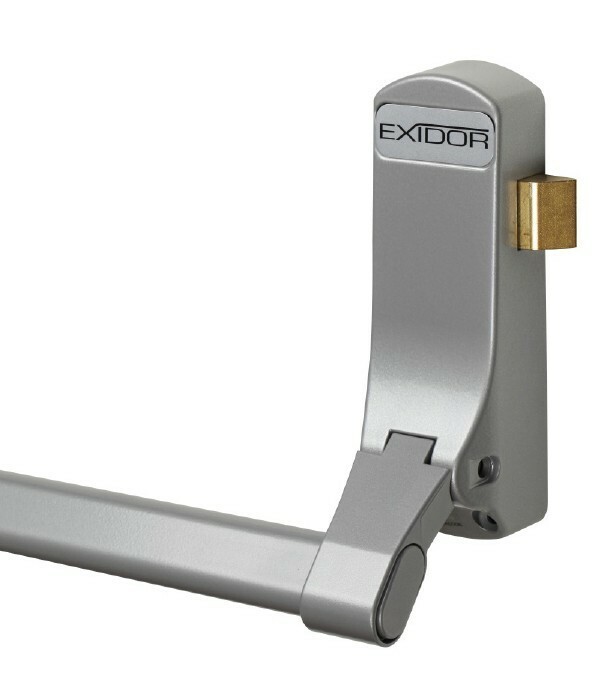 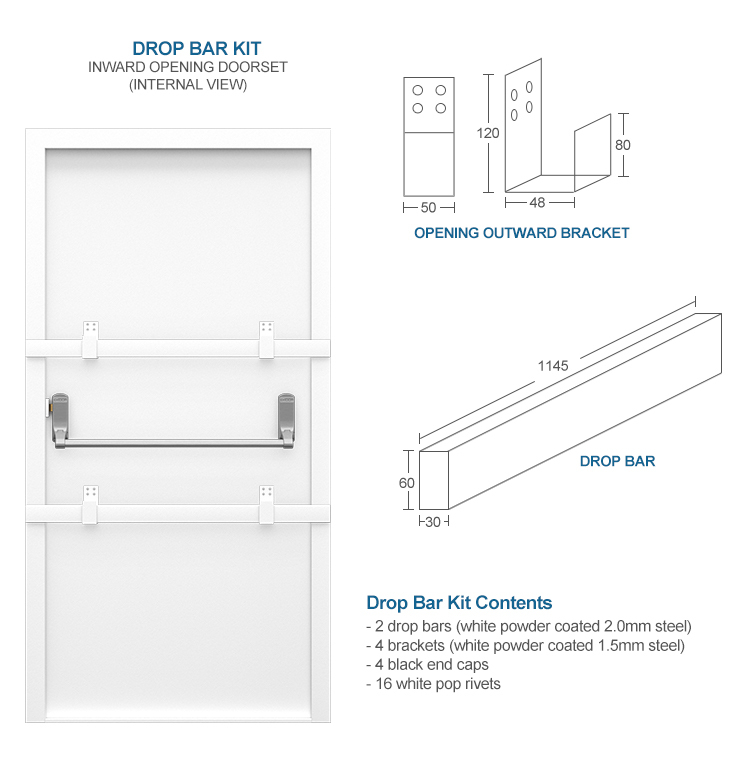 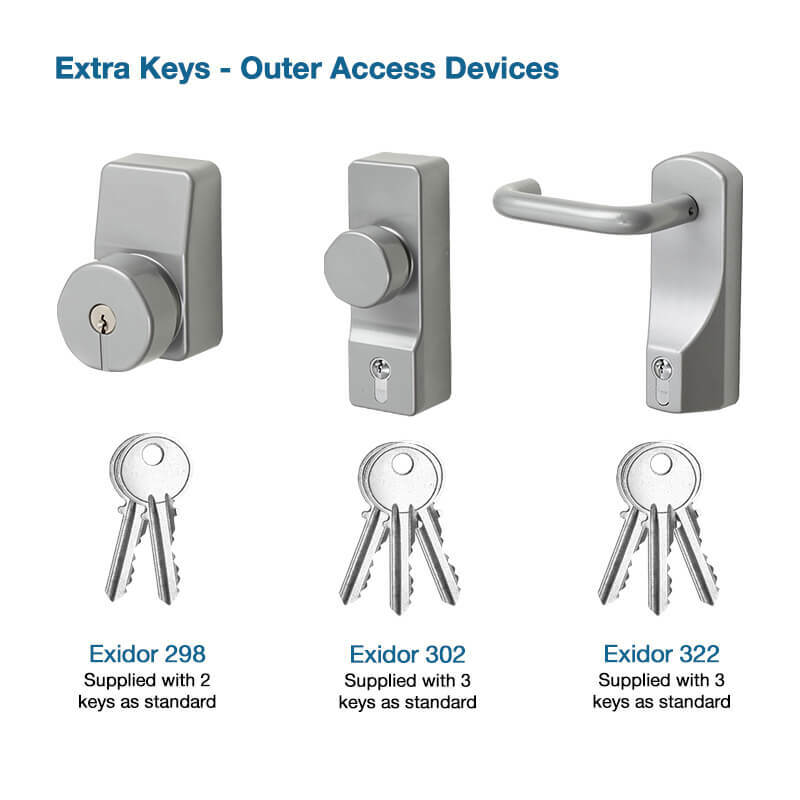 Your louvred fire exit can be used as both an exit and an entrance with an OAD, we have a range of handles and knobs available from stock, as well as a code lock to further improve security. 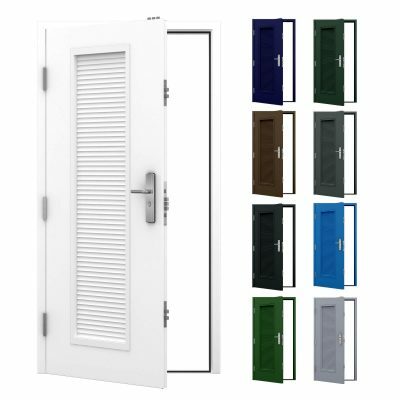 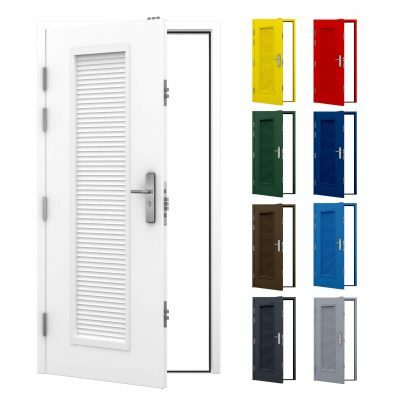 Our louvred fire exit doors are available for express delivery (additional cost for express service) via dedicated courier. 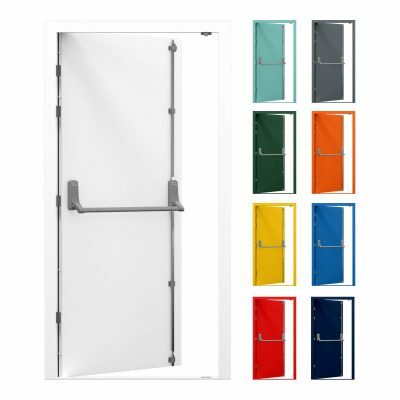 This makes them ideal for business projects with tight deadlines or if you’re in need of a quick replacement.